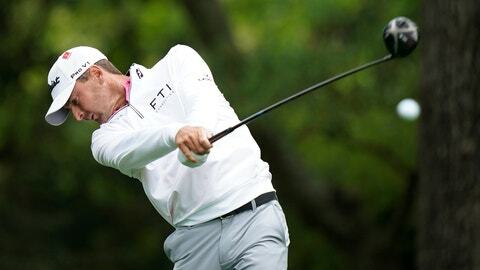 AUGUSTA, Ga. (AP) — Charles Howell III waited a long time to get back to the Masters and wanted his return to last through the weekend. So he entered Friday’s second round with a safe approach mindset, hoping to just make the cut. Then came a chip-in for birdie on No. 5 to get a little momentum. Later, he made a 36-foot putt for eagle on No. 13. Suddenly, making the cut wasn’t a concern; he could focus on contending. Howell, a 39-year-old Augusta native, shot a 5-under 67 on Friday and was just three shots behind the leaders. He shot in the 60s for the first time in 28 rounds at the Masters. “I felt a little more comfortable out there than I have in the past,” Howell said. “Not that any day at Augusta National do you feel greatly comfortable. But for whatever reason, maybe it’s the time, maybe it’s my age now, I don’t know. The weekends haven’t often been kind to Howell. He’s had plenty of success, making the cut in most tournaments and earning more than $38 million over nearly two decades. But a lack of victories — he has just three on the PGA Tour — has meant the local favorite has often watched the Masters on television in recent years. He played at Augusta National every year from 2002 to 2008, but made the field just once (2012) over the next decade. Howell earned a trip back this spring by winning the The RSM Classic in November . It was his first win in 11 years and ended a streak of 332 straight starts without a victory. Now he’s savoring every moment on the course and it doesn’t hurt to also be playing some good golf. Howell hasn’t often been a factor in majors — his highest career finish is a 10th place showing at the PGA Championship in 2003. He doesn’t know how he’ll react to being in the hunt on Saturday, but is ready for the challenge. Howell said Friday’s charge up the leaderboard was mostly about gaining confidence. The chip-in on No. 5 came from 26 yards away and seemed to jolt his game. He might be feeling good, but Howell maintains a healthy respect for the challenges Augusta National presents. He said the rain has meant softer conditions that make a few things easier, but it also makes the course play longer. “This golf tournament has your attention on every hole,” Howell said.